In Part Two of this study, follow Paul and his missionary companions as they preach the good news of salvation throughout the Gentile world of the Roman Empire. In Part Two of this study, follow Paul and his missionary companions as they preach the good news of salvation throughout the Gentile world of the Roman Empire. Witness painful rejection as well as acceptance and transformation as the Holy Spirit works through these courageous witnesses.They gave everything they had to tell the story of God's love through Jesus Christ. 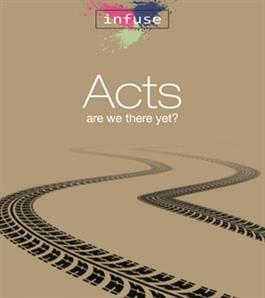 This eight-session study is the continuation of Acts: Church on the Edge.